This is probably the most photographed spot in the whole of Northumberland National Park. 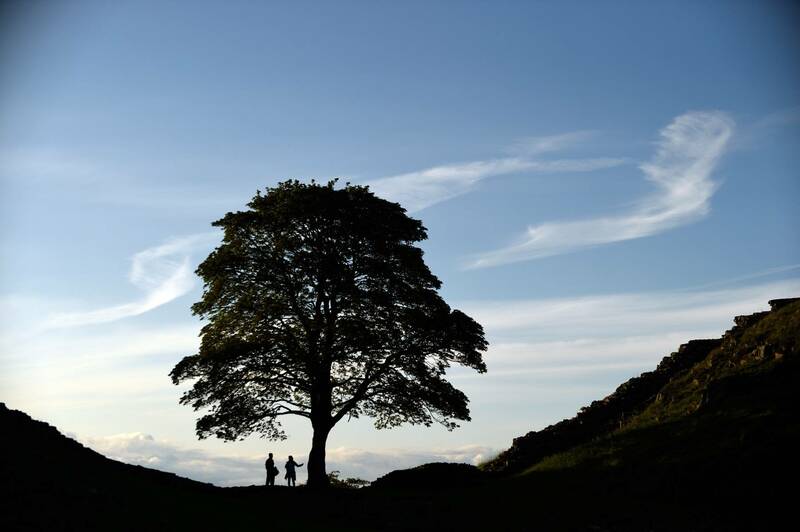 Here, a sycamore tree grows in a dramatic dip with Hadrian’s Wall rising up either side. The 1991 film ‘Robin Hood: Prince of Thieves’, starring Kevin Costner, was filmed here. The tree has been known as The Robin Hood Tree ever since. Go to the Steel Rigg, Geocaching trail. You can see the tree from the nearby Military Road (B6318). To get there from the A1, take the A69, then Park Lane, turning onto Military Road at the Once Brewed junction. Sycamore Gap lies just to the east of Milecastle 39.